Design aficionados at heart, Techo-Bloc believes in style with substance making R&D both a core competency and a passionate pursuit. To that end, they build production facilities of the highest caliber and equip them with the latest technology including their own inventions. 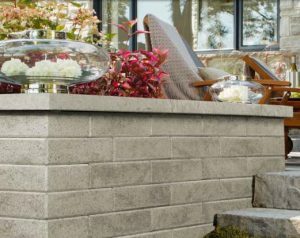 Techo-Bloc ensures the landscape and masonry products they design and produce are functional, durable, and astonishingly beautiful. The Techo-Bloc name is your guarantee. Techo-Bloc warranties cover the structural integrity of their products. The value they place on integrity doesn’t end there; honoring their word and their customers has forever been the cornerstone of who Techo-Bloc is and what they do.